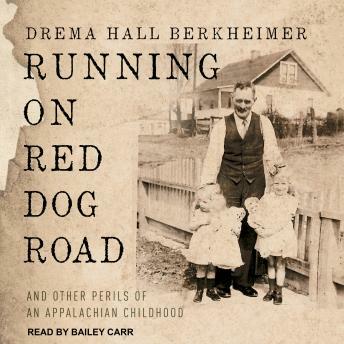 Gypsies, faith-healers, moonshiners, and snake handlers weave through Drema's childhood in 1940s Appalachia after her father is killed in the coal mines, her mother goes off to work as a Rosie the Riveter, and she is left in the care of devout Pentecostal grandparents. What follows is a spitfire of a memoir that reads like a novel with intrigue, sweeping emotion, and indisputable charm. Drema's coming of age is colored by tent revivals with Grandpa, poetry-writing hobos, and traveling carnivals, and through it all, she serves witness to a multi-generational family of saints and sinners whose lives defy the stereotypes. Just as she defies her own. I downloaded this book because of all the great reviews on Amazon and don’t have too much time anymore to read actual books. I couldn’t get through this one - I found the narrator and overall pace of the book very slow and flowery. It just didn’t match up at all with my expectations and will be the last time I download a book without first hearing a demo! It may be a great book, so feel free to discount this book review since I did not reach the end. I just couldn’t deal with it.